A man of arms and a man of letters, Maupassant was a French short-story writer and novelist known for his naturalistic treatment of his subject matter. He is considered the greatest French short-story writer. 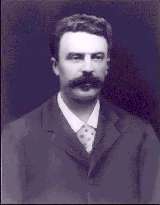 Born Henri René Albert Guy de Maupassant, he was from an old French family. His grandfather was a wealthy landowner in Lorraine, and his father was a stockbroker in Paris. He was sent as a boy to a boarding school in Yvetot, in Normandy. Later, he attended the lycée at Rouen. Although the separation of his parents when he was eleven was traumatic, it began his close association with the great French writer Flaubert, a close friend of his uncle. It was Flaubert who brought Maupassant into French literary circles. He was an active and adventurous youth. He excelled at rowing rather than reading and when his education was interrupted by the Franco-Prussian War he served as a member of the French Army. A transfer from Army service to civil service followed and Maupassant held positions in the Ministry of the Navy and later with the Ministry of Public Instruction. Between 1873 and 1880 he apprenticed with Flaubert, who had become a family friend, in the art of literature. Maupassant's literary career began with a whimper. Des Vers, a book of poetry published in 1880, made him realize his forte was prose and not verse. Boule de suif, a short story or conte, was published later that year in the journal Soirées de Médan in 1880. Techniques of precision, conciseness, characteristic and accurate detail drilled into him by Flaubert began to pay dividends. Maupassant's story about the Franco- Prussian War outshone work by famous and recognized authors such as Zola and Huysmans. His earlier failure forgotten, Maupassant's career was launched down a long river of success. Over the next decade, Maupassant published more than thirty volumes of short stories, plays, novels, and travel sketches. The first collection of short stories published under his own name was La Maison Tellier, which appeared in 1881. He quickly followed this with Mademoiselle Fifi in 1882 and Contes de la bécasse the following year. His first novel, Une Vie was both successful and controversial. Released in 1883 it was hailed as a masterpiece of naturalism in literature. It rejected the idealism of the previous era of literature and examined in intricate detailed the lives of middle and lower classes of people. The censorship of the book only increased its popularity. In a declaration of his principles Maupassant stated in his preface to Pierre et Jean that he was a complete literary naturalist, approaching his material with objectivity and detachment, describing life with utter frankness, and reflecting a personal conception of a deterministic universe. He stepped down from the civil service in 1884 secure in his financial and social status. But Maupassant was far from complacent. From 1884 to 1885 he produced some of his greatest work. To those years belong the short story collections, Clair de Lune (1884), Miss Harriet (1884), Les Soeurs Rondoli (1884), Toine (1885), Yvette (1885), Contes et nouvelles (1885), and Contes du jour et la nuit (1885). His health began to deteriorate during 1886 to 1887, probably the result of venereal disease. A sea voyage improved his condition slightly and he described his travels in Sur l'eau published in 1888. However he had a relapse and after 1890, he practically ceased to write. Suffering from general paralysis and severe hallucinations he went to Cannes, on the Mediterranean, to spend the winter of 1891 to 1892, but he was taken back to Paris after a suicide attempt in January, 1892. He died there soon after.